Since 1949, we have provided our members with a place to save their hard-earned money and earn excellent dividend rates on those savings, while offering loans at the lowest rates possible. Our sole purpose is to help our member-owners with all their financial needs through all walks of life. Hometown Credit Union is a financial cooperative which is owned and operated for its members’. We seek to promote thrift and economic development of our trade area. We strive to provide the best possible financial services to meet members’ needs. Hometown Credit Union seeks to grow while maintaining its long-term financial stability. Anyone who lives within a 75 mile radius of our Kulm, or 50 mile radius of our Hazelton, ND offices. “ONCE A MEMBER, ALWAYS A MEMBER” – Your financial and economic interests will continue to be a matter of personal and direct concern to your Credit Union, even if life takes you away from your hometown. All of our services remain at your disposal and we hope you will continue to make full use of them. Your savings are secure and are federally insured up to $250,000 by the National Credit Union Share Insurance Fund (NCUSIF), an arm of NCUA. The NCUSIF is backed by the full faith and credit of the United States government. Your IRA retirement accounts are insured up to $250,000. Click here for more details. In true cooperative spirit…More than 186 million people worldwide belong to a credit union just like Hometown Credit Union. When you go to the credit union, you’re not just a customer-you’re a member. It really is “your credit union.” Banks belong to shareholders, hoping to profit from your transactions. At a credit union, any earnings are returned to you in the form of better rates on loans and savings. Your voice is heard through our volunteer Board of Directors who are elected by you and other members of Hometown Credit Union. As a not-for-profit financial cooperative, your funds are invested locally, helping other member owners from our community. Hometown Credit Union’s commitment to our local communities means service you can trust, where you need it most. We trace our roots to Kulm, ND where we were chartered as Kulm Credit Union on December 10, 1949 to help people (mostly farmers) get credit so they could improve their farms and their lives. By May 13, 1950 there were 54 members with share savings of $3,512.32. At first we operated out of a single room in the Farmers Union Oil building. For many years the small but financially sound “small town” credit union helped its members achieve their financial goals. 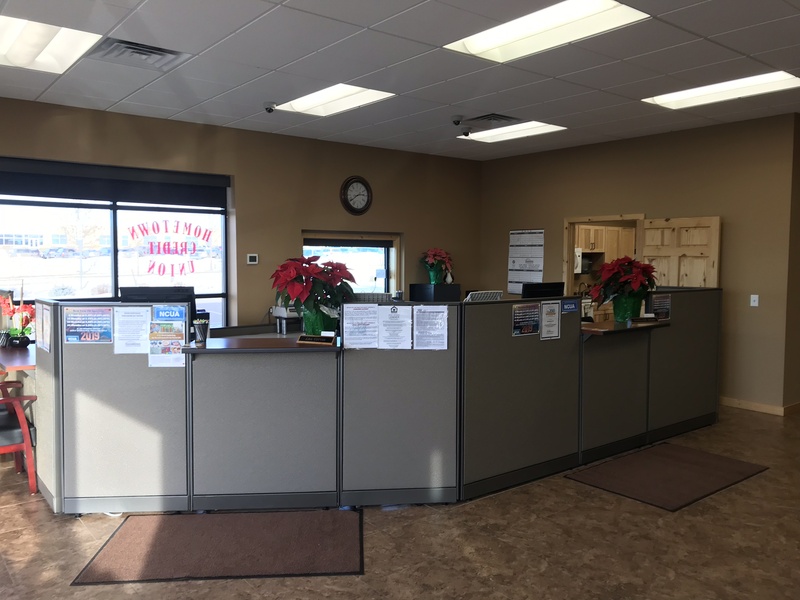 While Credit Unions in surrounding towns came and went, and merged with “big city” credit unions, Kulm Credit Union remained committed to its local membership. Assets of the Credit Union reached $1,013,305.14 at the end of February 1974. In 1987, a group of people from the Ashley area approached the Kulm Credit Union Board of Directors to see if they would consider buying the Ashley Branch of Metropolitan Federal Savings and Loan, which was being closed. The acquisition was approved by the member/owners, and on June 6, 1988 our name was officially changed to Hometown Credit Union. While our membership base expanded, our hometown commitment remained strong. In the early 1990s the residents of Emmons county found themselves in difficult economic times. In 1995, the Board of Directors of the Hazelton Credit Union – the only remaining Credit Union in Emmons County – approached the Hometown Credit Union board about merging the two financial institutions. On May 1, 1995 Hometown Credit Union took over all of their assets and liabilities, and our Hazelton branch office was established. Our newest branch was opened on August 7, 2017 in Lincoln, ND. Lincoln, a suburb of Bismarck, is one of the fastest growing cities in North Dakota. This “urban” location will help Hometown Credit Union expand its deposit base and diversify our portfolio. By the end of 2017, deposits in the Lincoln branch reached $1 million. Ann Laeger, Lending Admin. Asst. A Credit Union is a cooperative financial institution that is owned and controlled by its members – very much like your rural electric and telephone cooperative. Credit Unions serve groups of people that share something in common. 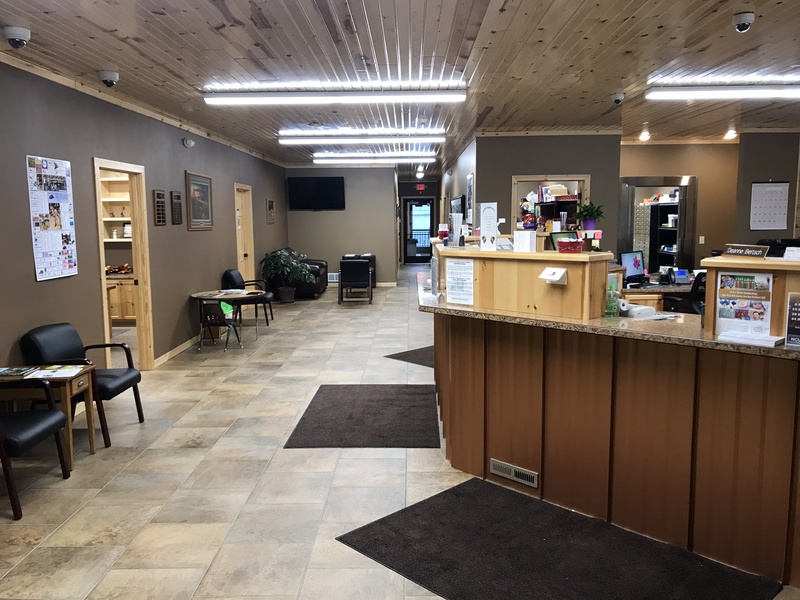 Hometown Credit Union members have where we live in common – our membership is only open to those living within an area consisting of a 75-mile radius of Kulm, and 50 mile radius of Hazelton, ND. Credit Unions are non-profit, and provide a safe, convenient place for members to save money and get loans at reasonable rates. The Credit Union idea is simple: People pool their money and make loans to each other.  Banks, Savings & Loans and Credit Unions all accept deposits and make loans. But Banks and Savings & Loans are owned by stockholders whose interests include earning a healthy return on their investments – they are in business to make a profit. Like other financial institutions, Credit Unions are closely regulated and operate in a very prudent manner. The National Credit Union Administration, an agency of the federal government, insures deposits to at least $250,000. Who Runs The Credit Union? Credit Unions are not like other financial institutions. They are cooperatives. Members vote for the credit union’s board of directors. Officers and directors are chosen from the membership and serve on a voluntary basis. Each member has one vote. There are no outside stockholders, so after reserves are set aside, earnings are returned to members in the form of dividends on savings, attractive loan rates and the development of new services. Credit unions are safe. Deposits are insured up to $250,000 by the National Credit Union Administration. Credit unions have improved the economic well-being of their members not only in this country, but also in over 70 countries throughout the world. Credit unions have, for over 100 years, been committed to providing low-cost loans and fair return on savings to their members. Credit unions serve their members – not profit-driven stock-Holders – and claim “people helping people” as our creed. Credit union members share something in common – they work at the same place, attend the same church, belong to the same professional group or live in the same community. Credit unions’ directors are elected by the membership, from the membership, and serve without pay; service to members is their reward. This member-serving board of directors guarantees that the credit union is looking out for the interests of its members. In 1934 Congress passed a federal credit union act, which permitted credit unions to be organized anywhere in the United States. In 1935, when credit unions were helping Americans through the Great Depression, the treasurer of a Midwestern credit union said that credit unions were “not for profit, not for charity, but for service,” and that philosophy holds true today. You can learn more about Credit Unions in North Dakota at the Credit Union Association of the Dakotas. Kum and Hazelton offices are open from 8:00 AM to 5:00 PM Monday thru Friday. Ashley branch is open from 7:00 AM to 5:00 PM Monday thru Friday. Drive-thru: 7:00 AM to 7:00 PM Monday thru Friday and 8 AM to 12 noon on Saturday. Lobby: 8:00 AM to 5:00 PM Monday thru Friday. Our HCU Online web site and mobile banking app allows to check balances and transfer funds any time, 24/7. All locations have a 24/7 ATM. When do you start your next business day? Transactions conducted after 4:00 p.m. are processed the next business day. The cutoff time for some transactions, such as wire transfers is 2:30 p.m. When does my debit card transactions post? Your Hometown Credit Union VISA debit card transactions are real-time. Debit card transactions subtract from your share draft (checking) account’s “Available” balance as soon as you swipe your card. The “Balance” and “Available” amounts shown in your on-line account will be different until the transaction posts (clears your account), which may be from 1-3 days. Your debit card will not work if you attempt a transaction that is greater than the available balance. As soon as you transfer funds in to your share draft account (either on-line, with the mobile app, or by calling a member service rep) your available balance will be credited. Is there a service charge for IRA savings accounts? No, there is no service charge to open or maintain an IRA account. I forgot my Advantage PIN (personal identification number). Can you help? Yes, please give us a call or stop by during business hours. You will need to provide positive identification. A credit union is a cooperative, not-for-profit financial institution organized to promote thrift and provide credit to members. It is member-owned and controlled through a board of directors elected by the membership. The board serves on a volunteer basis and may hire a management team to run the credit union. The board also establishes and revises policy, sets dividend and loan rates, and directs certain operations.The result: Credit unions are a safe harbor for consumer savings. Members are provided with a safe, convenient place to save and borrow at reasonable rates at an institution which exists to benefit them, not to make a profit. Savings at credit unions so far in 2008 have grown nearly 7%. In today’s economy, consumers are increasing their savings in response to concerns about their economic future. More people seeking to put their money in a stable source offering good rates are turning to credit unions. As not-for-profit cooperatives, credit unions typically offer higher savings rates than banks. Consumers saved $10.9 billion last year by using credit unions rather than banks. The savings come in the form of lower fees, higher savings rates and lower loan rates. That works out to about $126 per credit union member or $239 per household. What is the minimum dollar amount that needs to be in my account? Share draft – The minimum balance required is $5.00 in your savings account. There is no monthly service charge for our share draft accounts. However, you will be accessed a transaction fee if we need to transfer funds from your share account to cover a share draft. To avoid a service charge, simply ask us to transfer funds before your account is overdrawn. The shares in your credit union are insured by the National Credit Union Share Insurance Fund (NCUSIF), an arm of NCUA. The NCUSIF is backed by the full faith and credit of the United States government.Your share insurance is similar to the deposit insurance protection offered by the Federal Deposit Insurance Corporation (FDIC). Individual accounts are insured up to $250,000. Retirement and joint accounts may have higher coverage. Check out the links below for specific details. NOTE: Share accounts in federally insured credit unions are insured up to the Standard Maximum Share Insurance Amount (SMSIA), $250,000 as of October 3, 2008. The section of Emergency Economic Stabilization Act of 2008 which increased the insurance coverage on all accounts up to $250,000 has now been made permanent. Not one penny of insured savings has ever been lost by a member of a federally insured credit union. The federal insurance fund has several programs to help insured credit unions which may be experiencing problems. Liquidations or failures are a last resort. If a federally insured credit union does fail, however, the NCUSIF will make any necessary pay outs to the credit union’s members. As a member of an insured credit union, you do not pay directly for your share insurance protection. Your credit union pays into the NCUSIF a deposit, and an insurance assessment, based on the total amount of insured shares and deposits in the credit union. Insured credit unions are required to deposit and maintain one percent of their insured shares and deposits in the NCUSIF. Credit unions as a whole are healthy, with strong balance sheets, and are well capitalized. Their overall capital-to-asset ratio stands at a very solid 11.1% (compared to 10% for banks). In dollars, that’s a capital cushion of $90 billion. Nation-wide, credit union mortgage delinquencies at the end of the first quarter of 2008 stood at only 0.7%. First mortgage charge-offs were a miniscule 0.06%. Across the board, credit union loan delinquencies are at a very low 1.0%. The National Credit Union Administration (NCUA) is the independent federal agency that charters and supervises federal credit unions and insures savings in federal and most state-chartered credit unions across the country. NCUA, backed of the full faith and credit of the U.S. government, operates the National Credit Union Share Insurance Fund (NCUSIF) insuring the savings of 80 million account holders in all federal credit unions and many state-chartered credit unions. Do you have a question that is not answer here? If so, simply drop us an email and we’ll answer it for you. If it is a question that other members need to know we’ll add it to this question page.